Moonlight Zoo and Sara 'N' Junbug are in the running to win an all-expenses paid trip to New York. 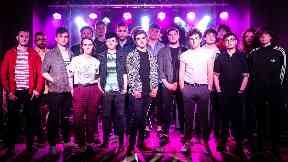 Two Scottish bands have secured a spot in the next round of a global music competition. 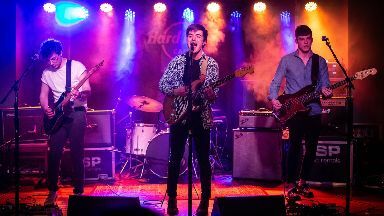 Moonlight Zoo and Sara 'N' Junbug fought off tough competition from The Asuras and Chris Greig & The Merchants at Hard Rock Cafe's Battle of the Bands showdown in Glasgow on Friday night. They are now in the running for a chance to win an all-expenses paid trip to New York, a cash prize, and an opportunity to perform in front of leading music industry executives - but their fate now lies in the public's hands. Sara 'N' Junbug told STV News they were over the moon with their win. 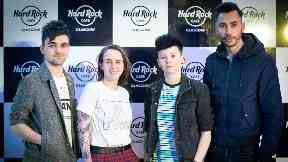 They said: "We're ecstatic to have won, especially given the calibre of the other three bands. "We played with the same energy and passion we always do and it is a great feeling to see all our hard work being recognised by both the judges and the folk that came to see us." The event, which shines a spotlight on up-and-coming musicians, took place across the world with live music rounds in cities including Nashville, Sydney and Moscow. 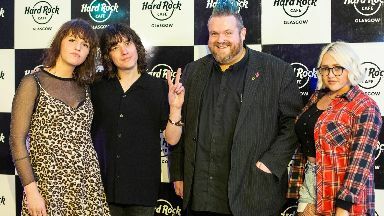 In Scotland, the event was hosted by Jim Gellatly with a judging panel made up of The View's Kieren Webster, Heart Radio presenter Lynne Hoggan, and singer-songwriter Emme Woods. Speaking about Moonlight Zoo's performance, in which they surprised the crowd with a rendition of Rusted Root's Send Me On My Way, Webster said: "Your stage presence was amazing, you can tell you've spent a lot of time perfecting this performance." Following Sara 'N' Junbug's performance, in which they thrilled with a cover of Billie Eilish's When The Party's Over, Woods added: "Your voices are unbelievable; collectively as a band you are all so talented." On the night the bands also had to impress the audience as the crowd's response counted towards the final vote. Moonlight Zoo and Sara 'N' Junbug, who each received a cash prize for their win, will now go head-to-head against the other regional winners in a worldwide fan vote. The top three bands voted as finalists from their online submissions will then win the prestigious prize package. Sean Defrancesco from Moonlight Zoo said: "We had such a great time performing at the Hard Rock Cafe Battle of the Bands. 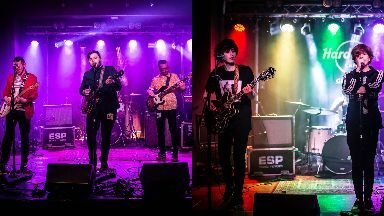 "They looked after us very well, and the friendliness and quality of the team working on the sound and getting us to the stage on the night really helped set us up to give the best performance we could possibly give. "We really enjoyed getting to meet the judges and hear their feedback, as we are always looking to improve and develop in any way we can. "All the other bands were fantastic, and we consider ourselves very lucky to get through to the next round. "We are going to need even more luck, as well as a whole lot of votes to get us to New York, but where there's a will there's a way"
Sara 'N' Junbug added: "Getting to New York would be a dream come true, not only for the opportunity to further our careers, but we would basically be representing Scotland and its music scene which would be quite an honour. "We wouldn't have got this far in our journey without our families, friends and everyone that enjoys our music; their support means so much to us. "Each and every vote counts and we'd love to make all our supporters proud as well as represent Scotland in New York." The public vote goes live on May 1.